Turbine Speaker System For Iphone, Ipad, Ipod, Samsung...!!! Amp 2.1x Speaker System For Iphone, Ipad, Ipod, Samsung..!!! 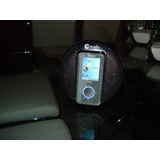 Lunar Speaker System For Iphone, Ipad, Ipod, Samsung...!! !